Replace and upgrade your Infinity G37 and Nissan 370Z air filter to a Cosworth Replacement Air Filter and let your engine breath clean, fresh air! NOTE: 2 Filters are REQUIRED for complete air filter replacement in your car. 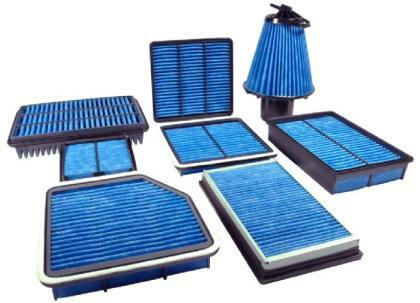 If replacing your stock filter, it is recommended you replace BOTH for optimal performance and best air filtering. Replace your dirty stock air filters with the Cosworth Air Filter for the Infinity G37 and 370Z. For the perfect fit, the Cosworth air filer is constructed by a injection mold, made of polystyrene or polypropylene. You're engine will notice an increase in air flow, improved performance, superior filtration and outstanding efficiency. NOTE: The G37 and 370Z come with dual intakes and air filters, and it is HIGHLY recommended that both be replaced at the same time.